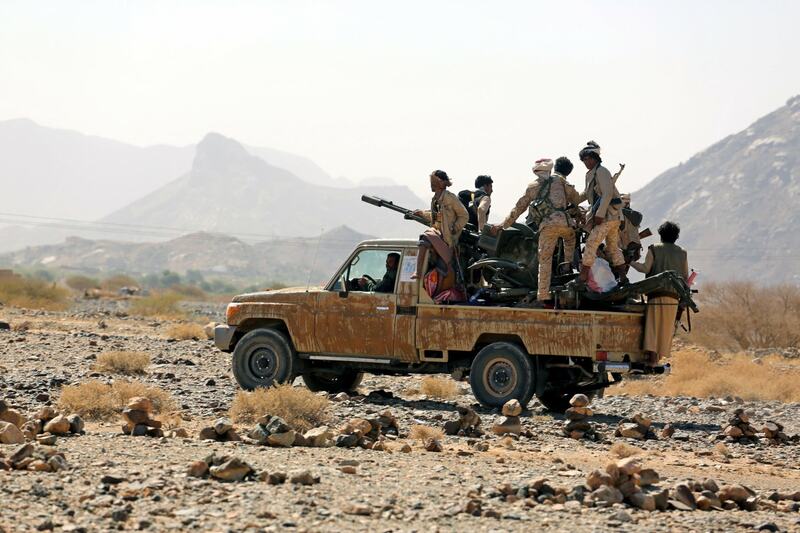 But it is the involvement of Hadi's backers — a Saudi-led coalition of Arab states supported by the U.S, Britain and others — that has drawn the most vehement international criticism.Many experts see Yemen as a proxy war between Sunni-majority Saudi Arabia and its Shiite regional rival Iran, which is accused of backing the Houthi rebels. Rights groups allege war crimes have been committed by all sides, which could embroil the Western powers.The U.S. and Britain have been intimately involved in prosecuting the war, supplying weapons, logistical help and diplomatic support to their longtime regional ally Saudi Arabia and its coalition, which also includes the United Arab Emirates, Bahrain, Kuwait, Jordan and Sudan. Besides selling weapons to the Saudis, American and British military advisers have provided training and intelligence and the U.S. has helped refuel coalition jets.The U.S. and Britain have been intimately involved in prosecuting the war, supplying weapons, logistical help and diplomatic support to their longtime regional ally Saudi Arabia and its coalition, which also includes the United Arab Emirates, Bahrain, Kuwait, Jordan and Sudan. Besides selling weapons to the Saudis, American and British military advisers have provided training and intelligence and the U.S. has helped refuel coalition jets.Nevertheless, some activists are pushing for Washington and London to face action for allegedly aiding and abetting the Saudis during the campaign. Earlier that month, Reuters reported that officials at the State Department and otheMore recently, Democratic Rep. Ro Khanna said last month that the U.S. was "aiding Saudi Arabia in Saudi Arabia's committing war crimes." 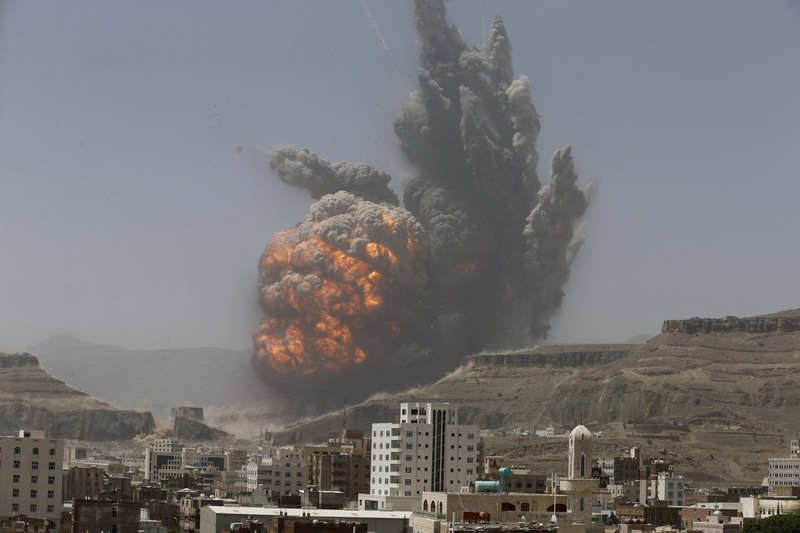 In Britain, the opposition Labour party has called on the government to suspend arms sales to Saudi Arabia, as has parliament’s International Development Committee and the Committees on Arms Export Controls. The legal precedent cited by Rep. Lieu and others relates to a U.N.-backed ruling in 2013. A special court trying former Liberian President Charles Taylor for war crimes found that "practical assistance, encouragement, or moral support" was enough to establish liability.r government agencies had privately expressed concern about U.S. complicity in the conflict.Writing in September last year, a senior U.N. official said Western governments were not neutral actors in Yemen and were therefore bound by international human rights laws. "Examples of violations of a state’s neutrality include supplying war materials, engaging its own military forces, supplying military advisors to a party to the armed conflict, or providing or transmitting military intelligence on behalf of a belligerent," wrote Nathalie Weizmann, legal officer the U.N. Office for the Coordination of Humanitarian Affairs. 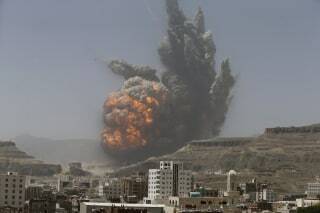 It is not just the bombing campaign that has drawn criticism of the Saudis and their backers.The coalition’s blockade of Yemen's ports in November risked a famine that, according to the U.N., might constitute a war crime or crime against humanity. Saudi Arabia has agreed to partially lift the blockade, although aid agencies say the move is not enough to prevent starvation. 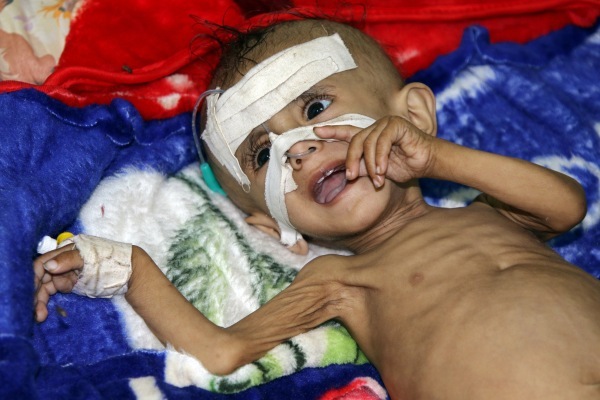 The charity Save the Children estimates hunger and disease could kill at least 50,000 Yemeni children this year.Despite the allegations, American and British officials have distanced themselves from civilian casualties, stressing that they had no involvement in the choice of airstrike targets and are not engaged in direct combat. It added that "the U.S. does not play any role in coalition targeting. "It added that "the U.S. does not play any role in coalition targeting." "From a legal point of view, it is such indirect support that I can’t really imagine how you could make a solid legal case, simply because I think not even Saudi Arabia will be taken to court for what they’re doing, and they’re the ones directly perpetrating these war crimes," said Andreas Krieg, an assistant professor at the Defence Studies department of London’s King's College and a former adviser to Qatar's armed forces. Qatar is currently the subject of an economic and diplomatic boycott by Saudi Arabia and three other Gulf Arab states who accuse it of supporting terrorism, which it denies.In September, the U.N. agreed to appoint experts to investigate alleged human rights violations in Yemen, overcoming strong opposition from Saudi Arabia.